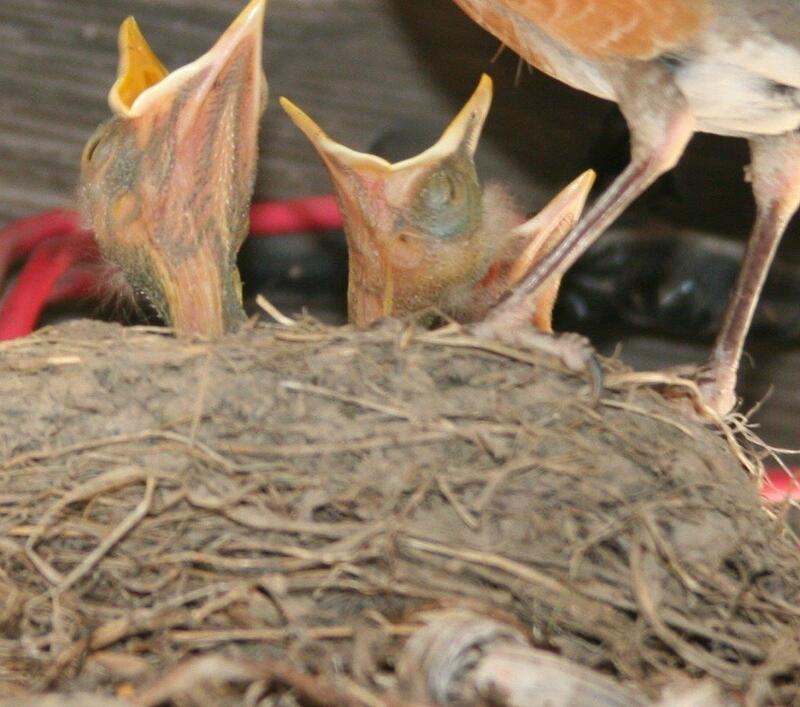 During the day, an American Robin, a member of the thrush family, sings a lovely, familiar song of rich phrases. But as the sun begins to set, robin song takes on a different character. From sunset until dark, a robin adds ethereal whispered notes to its carol, creating a song of remarkable grace and complexity. In the high latitudes, where twilight lingers late into the evening, a robin may expand its daytime carols into a twilight symphony that continues for hours. 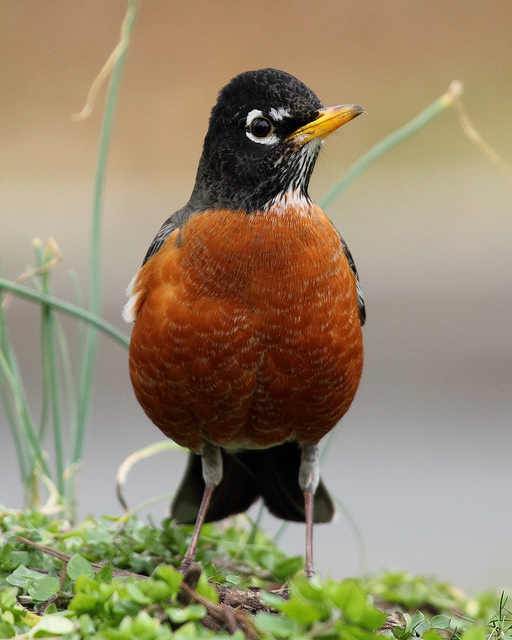 During the day, an American Robin sings a lovely, familiar song of rich phrases. The phrases vary, and ring forth with a lilting quality. But as the sun begins to set, robin song takes on a new and exquisitely different character. 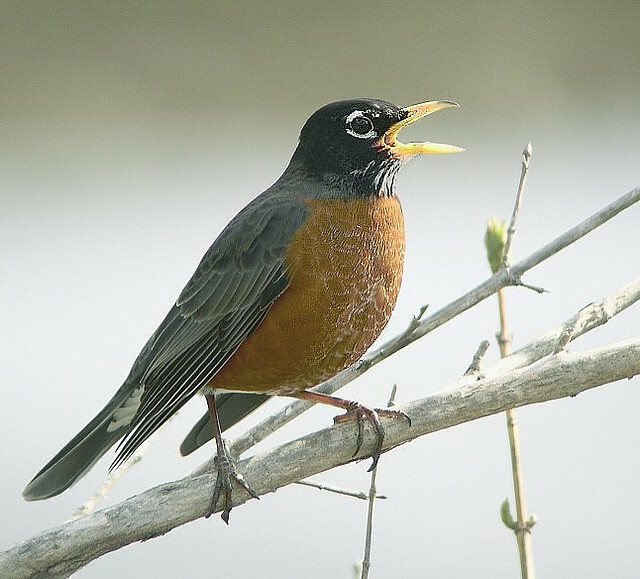 [American Robin evening song (2)] From sunset until dark, a robin adds ethereal whispered notes to its carol, creating a song of remarkable grace and complexity. Let’s listen more closely to the fine detail of a robin’s evening song, by slowing down the same notes to ½ normal speed. Here’s another passage of evening song at 1/2 speed. In the high latitudes, where twilight lingers late into the evening, a robin may expand its daytime carols into a twilight symphony that continues for hours. 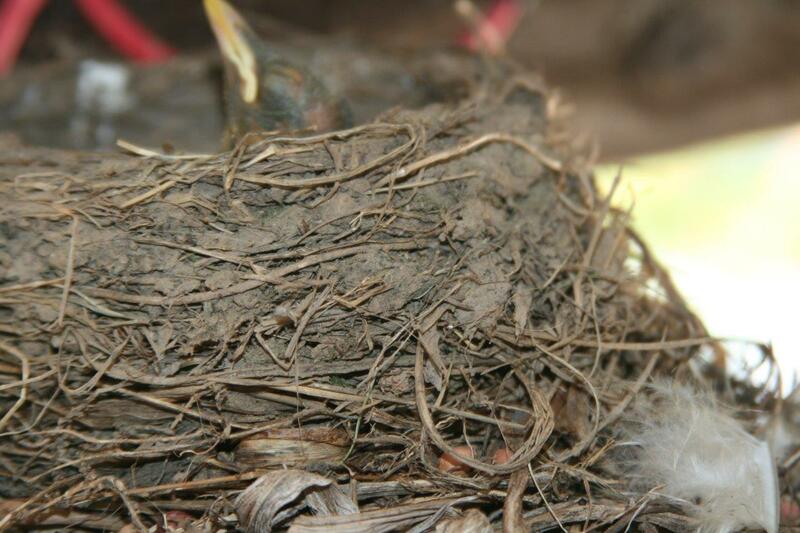 Song of typical American Robin (1) recorded by Donald Kroodsma Singing Life of Birds CD, track 12: between 15-21. (2) Kroodsma CD, track 13:24-35 (3) ½ speed of track #2 (4) ½ speed track 13:47–55. The Singing Life of Birds, by Donald Kroodsma, Houghton Mifflin, Co., New York, New York. 2005. 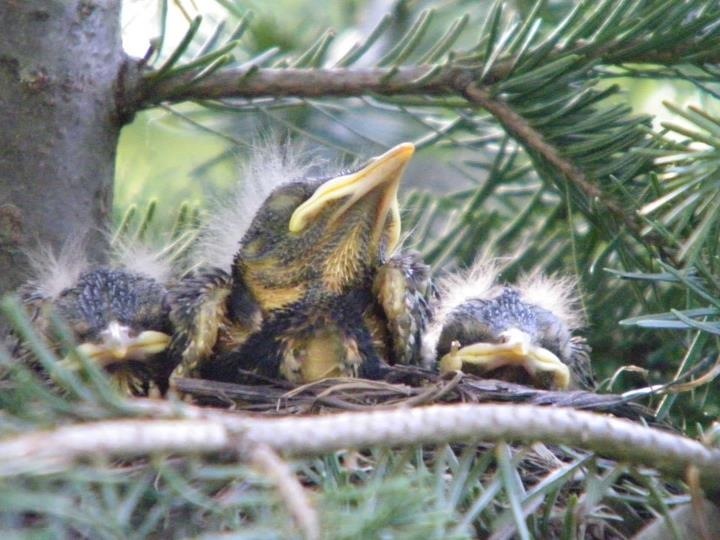 Evening ambient of several robins singing recorded by C. Peterson M III T 50.